The project Planning Cycle is a the step-by-step process for running through different project phases to reach the project goals. This article provides a practical explanation of the Planning Cycle. After reading, you’ll understand the basics of this powerful project management tool. What is the Planning Cycle? The project Planning Cycle refers to the step-by-step process, used by many project managers, for running through different project phases. This life cycle is a standard format and offers a framework for many small to mid-size projects. Following this life cycle is crucial for reaching goals in the project. Whether you’re building a house, testing and implementing new software, or planning a birthday party, every project goes through common phases, no matter how long it may take. These phases can be found in all projects, or at the least in a similar pattern. Managers in project teams have a common purpose: reaching goals. Broadly speaking, a project can be divided into three phases. During the starting phase, the preparation is completed, during the middle phase, the activities that bring the project into the direction of completion are carried out, and during the final phase, the project is completed. However, an additional phase is included for organisational purposes. 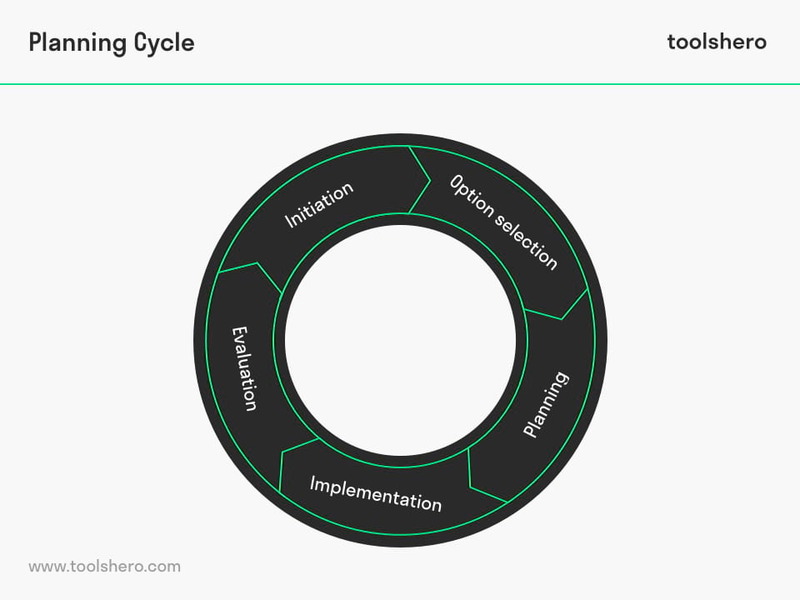 This is why a project generally consists of the following phases: initiation, option selection, planning, implementation, and evaluation. Together, these phases represent a complete project planning. This is called the life cycle of a project. Although the planning process of a project is often linear, it is better to visualise it as a cycle. Evaluation and feedback moments may mean something needs adjusting. In this case, the user needs to take one or more steps back in the cycle. The Planning Cycle of project management is often divided into five phases. These phases form the path that the project takes from beginning to end. Some models or theories ad a sixth phase, checking or monitoring. However, this is included in the implementation and completion phases of this theory. This is the moment the project starts. The beginning of the project is meant for broadly defining the project. The need for a solution of a specific problem has been determined beforehand. The team can be brought together to brainstorm about ways in which the problem can be solved. The feasibility of the project is also analysed, as well as whether it should actually be started or not. A case study of a business in a similar situation is often used for this purpose. Different interested parties have influence during this process. They decide whether it will be a go or a no-go. The necessity of the project has already been determined in this phase and the user must know where he stands and what he wants to achieve or solve. Here, the brainstorming of the previous phase is brought to the next level. It’s important that as much time as possible is spent on generating different options during this phase. Although it’s tempting to immediately use the first viable option, less obvious but better options also often come up. When the different options have been decided, it’s time to decide which option should be used. Several issues need to be considered here. Are there sufficient resources, such as time and money? What does the budget plan look like? What are the risks? Different tools are available for this analysis. Now that the project has been given shape and approved, it’s time for the planning phase. In this phase of the Planning Cycle, the project is divided into smaller parts. There are different ways to do this. SCRUM, for example, uses sprints, which are smaller time periods in which individual goals are reached. Planning and progress can be tracked using Gantt Charts. Milestones are determined in advance. These are high-level (SMART) goals that must be reached to complete the project in time. In this phase, the project has been completed. Any agreements with partners are now terminated, and team members who performed well now get recognition for their work. A small event is often organised to celebrate the completion of the project. The project manager holds a meeting to evaluate what went well and what can be improved upon next time. He analyses whether the goals were reached, team members performed well, the project was completed with good documentation, and whether the administration is still up to par. The most important purpose of a project is to reach the defined goals. The project plan and previous planning all help to reach the goals within the timeframe. The Planning Cycle helps in making optimal use of resources such as time and money by following the resource plan. The Planning Cycle ensures improvement of communication. Employees come together at scheduled times to brainstorm and evaluate. The planning cycle also often determines who is assigned which responsibilities and tasks. This prevents undesired tension and ambiguities. Risk analysis is used in the planning phase. This means risks are identified, evaluated, and dealt with if necessary. A project often has a limited budget. In this case, it’s difficult to spend a lot of money on planning. It’s still advisable to do this anyway, because a precise planning means the need for fewer mistakes to be resolved. The Planning Cycle may seem chaotic or complex because it has multiple phases, during which many different activities are carried out. This doesn’t always need to be the case. Make sure that you keep it short with regard to planning and documentation. Despite the fact that it’s wise to stick to the planning, it’s also important to ensure the Planning Cycle doesn’t suppress creativity. The tool can be used as a guide, but it’s also possible to stray from the path and think out of the box. What do you think? Are you familiar with the explanation of the Planning Cycle? How do you think you will be able to use the five phases in your project? What do you think are the crucial elements of a project planning? Do you have any tips or additional comments? Share your experience and knowledge in the comments box below. If you liked this article, then please subscribe to our Free Newsletter for the latest posts on Management models and methods. You can also find us on Facebook, LinkedIn, Google+ and YouTube. Platje, A., Seidel, H., & Wadman, S. (1994). Project and portfolio planning cycle: project-based management for the multiproject challenge. International Journal of Project Management, 12(2), 100-106. Burke, R. (2013). Project management: planning and control techniques. New Jersey, USA. Your rating is more than welcome or share this article via Social media! 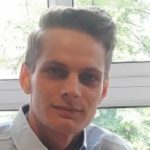 Ben Janse is a young professional working at ToolsHero as Content Manager. He is also an International Business student at Rotterdam Business School where he focusses on analyzing and developing management models. Thanks to his theoretical and practical knowledge, he knows how to distinguish main- and side issues and to make the essence of each article clearly visible.